Wash and peel the mangoes. Peel, chop the flesh and remove the stone. Blend the flesh to get a thick puree. Combine milk and condensed milk in a non stick heavy bottomed pan and mix well. Bring this mixture to a slow boil and then simmer for 20-30 minutes till the entire mix reaches the consistency of condensed milk that you added in. You need to stir often to ensure the mix doesn't stick to the pan and burn. Remove from gas and let it cool completely. Once it is completely cooled, add in the mango puree and mix well. Pour into kulfi moulds, popsicle moulds, paper cups, shot glasses or any container of your choice – I used shot glasses, small/medium glasses and a metallic jelly mould. Cover with plastic wrap and freeze overnight/till set. If you want to add popsicle sticks, freeze for about half an hour. When the kulfi has started to set, place the popsicle sticks into each mould. To unmould, dip for 2-3 seconds in warm water and ease out the mould. You may have to run a sharp knife around the edges of the mould. I didn’t unmould the shot glasses and unmoulded the medium size glasses into these little earthenware saucers that I have. The one set in jelly mould was taken out and cut into small pieces and served alone with some cubed mangoes – unfortunately no pictures of this one. But since the mango season has just started, I will rectify that soon enough. You can add skinned finely chopped almonds and/or pistachios in the mix before freezing or add as garnish. 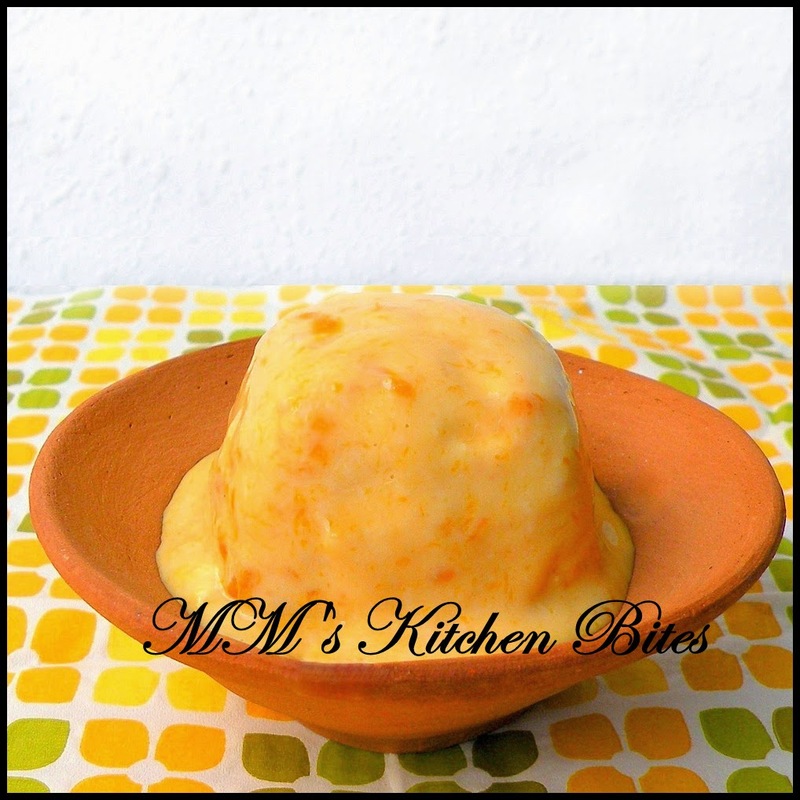 We like the Mango Kulfi better without the nuts, though traditionally it is always served with nuts added. You can strain the mango puree before adding to the mix but we like it better without. I at times add a few chopped mango pieces as well before setting to freeze. Do a taste check after the milk has thickened: if too sweet add some more milk; if not sweet enough for you, add some sugar and stir till it dissolves. You will also need to do a taste check of the mango puree - some mangoes will be tarter than others and sugar would need to be adjusted accordingly. 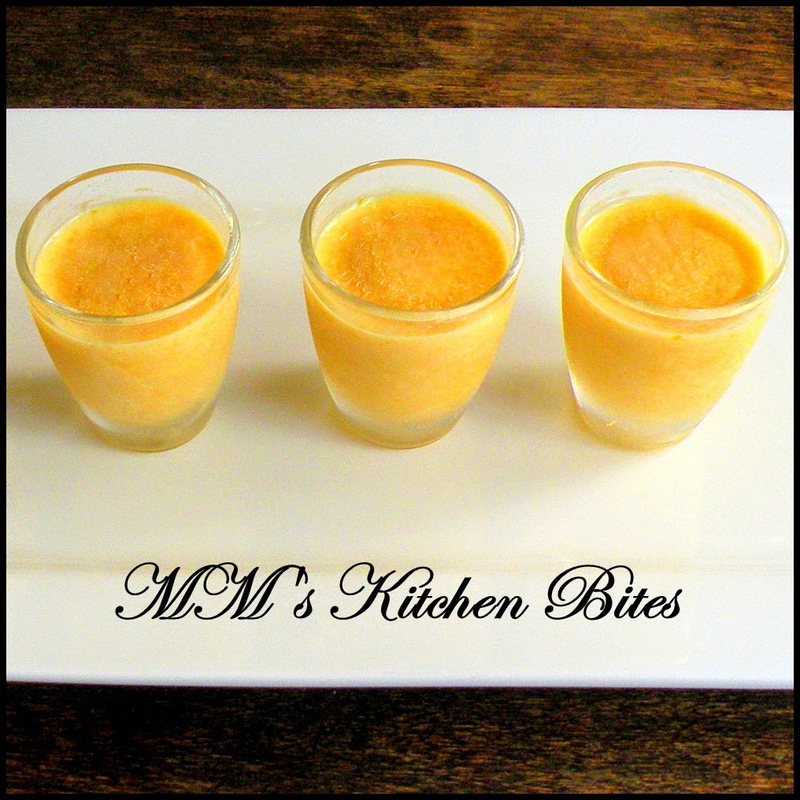 If using tinned mango puree, reduce the amount of condensed milk as the tinned puree already has some sugar in it. You may disagree about this being a Punju dessert but don't let that stop you from making and eating it!!! Papa's Chicken Curry.....no intro necessary!! Gobhi Soya Keema...she fooled us!! Kadhai Paneer...OMG!! What a day!!! Raw Mango Rice...declaring Spring today!! !